What is an Australian garden without a lemon tree? In some cases, it’s the only plant in a neglected backyard, uncared-for and forlorn, yet battling on year after year. From a simple dressing for fish and chips to Greek tzatziki dips, the lemon has been the acid juice of choice since early settlement. Lemon (Citrus limon) is the number one fruit tree grown in gardens and for all but the coldest parts of the country there are excellent varieties that are suitable for home use. Lemons have an obscure genetic history and may have been hybridized in Europe and the Middle East through crossing several older south-east Asian citrus parents. Evidence of its long European lineage can be seen in images of lemons that appear in wall paintings in Pompeii and several other Classical period sites. Lemons grow well in most of Australia apart from the true tropics, areas with hard winter frosts or the dry unirrigated interior. The two main varieties of 'true' lemon available in Australia are 'Eureka' and 'Lisbon'. Other varieties of lemon are often faux lemons crossed with other citrus, such as 'Lemonade' (a cross between a lemon and an orange). The North American raised cultivar 'Eureka' is the most common lemon grown in home gardens as it’s a prolific fruiter and bears few thorns. Its main downside is that it dislikes frost. One of the oldest varieties of lemon in Australia is Lisbon which was available in the country by the mid-1850s. This variety is far more cold-tolerant than Eureka, but has the disadvantage of being much thornier and a less prolific plant. Despite this, 'Lisbon' is the fruit of choice for most commercial growers. What ever they claim on labels lemons don't make great pot plants as they easilly stress during warm periods. If you are keen to have a container specimen of citrus try growing cumquats. 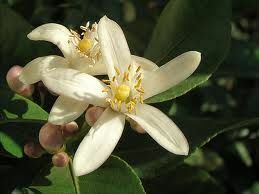 Perhaps due to its popularity with home gardeners, citrus is the most asked-about plant in garden phone-in sessions. These queries relate more to the fruit’s popularity than to any reputation for being problem prone. Typical queries relate to lack of fruit, pests and diseases and correct times to fertilise. 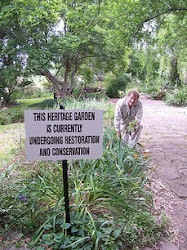 Fertilising confuses many gardeners. Simply, lemons (and most citrus) require plenty of high-nitrogen fertiliser to produce good fruits, ideally applied in early spring and around mid-summer. An ideal liquid feed is human urine such as that left in a child's potty. Make sure the mix is applied to wet soil and water in well after application. I like to mulch my trees with hay or straw mixed with some chicken manure. Make sure you keep the collar of the plant away from the mulch to avoid collar rot. 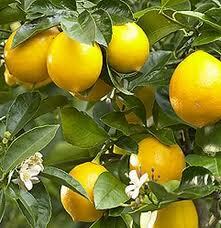 Lemons demand full sun to flower and fruit well, and require regular deep watering during hot weather. 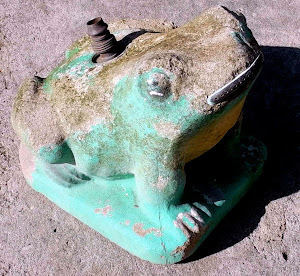 Major pests are scales, beetles and bugs. These can be treated by various means, but require proper identification before attempting a cure (something I will mention in the future). A great reference is Judy McMaugh’s, What Garden Pest of Disease is That? When selecting a new lemon it's a good idea to select a plant grown on a named rootstock. These are often named on the plant label. Despite their many pests, lemons are easy ornamental plants to grow and make a satisfying low-maintenance fruit tree for the home garden.